As soon as I saw this Universal Carving Vice in Axminster's May review I thought they had come up with a winner. 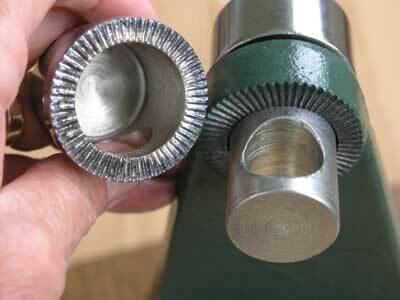 Previously, if carvers wanted a really sturdy holding device they have had the choice of a vice with a ball joint or one that only moves in two directions and both options are fairly pricey. This vice, however, has a mounting plate that tilts and rotates, and the whole assembly can be rotated about its base by slackening off the clamping ring with a small bar. This requires two operations but just look at the price compared with the alternatives! Also, when everything is tightened the work is held rock solid. 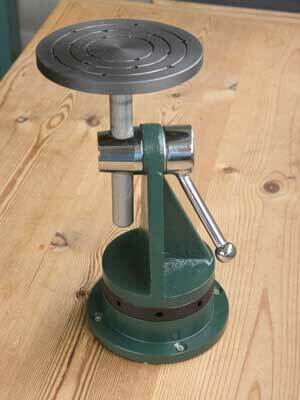 The body and base of this vice are cast iron while the mounting plate and other parts are steel making it a weighty 8kg. The base has a 13cm diameter, the mounting plate can be adjusted between 22 and 30cm above the bench. I screwed a piece of lime 15cm square and 30cm high to the mounting plate that has 16 holes arranged in three concentric circles, adjusted it to around the half way height and attacked it with a 25mm gouge and mallet. After the first few strikes I realised I had not tightened the clamping handles enough and needed to put a bit more strength behind the levers, but after that whichever way I made my cuts the work stayed solid, even going across the end grain at the top of my piece of timber. As with all unfamiliar pieces of equipment there were one or two things that needed watching. I caught my knuckles between the handle and the body of the vice a couple of times but this can be avoided with a little care. I would like to see the collar under the mounting plate a bit longer because with a heavy carving mounted, the plate could drop down quickly when the clamp is released and fingers can be trapped between the plate and the clamp assembly, but Axminster is looking into this design aspect. The bar used to slacken the base clamping ring is rather small and I feel it could easily be mislaid - perhaps holding it to the base with a magnet might be considered. 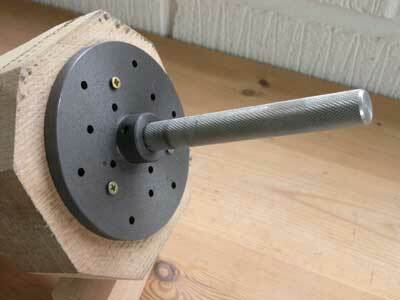 Overall I was very impressed by the sturdiness of this vice and consider it to be very good value for money. Once I decide where it will live permanently I will bolt it to my bench rather than screw it because it is possible to use so much force and I think screws could loosen in time. "I was very impressed by the sturdiness of this vice and consider it to be very good value for money"